Are you trying to figure out which garage door design would best suit your Cincinnati home? With a lot of options to choose from, it can be a difficult choice! 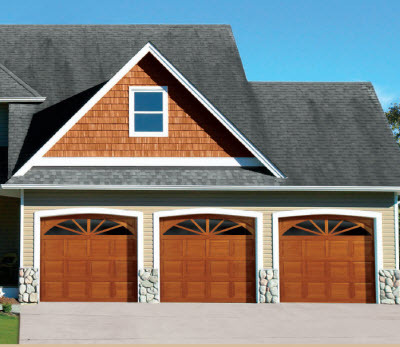 The team at Overhead Door Co. of Greater Cincinnati takes pride in offering a stunning variety of quality garage doors for homes throughout southwestern Ohio. Want to learn more? Contact the team at 513-394-6938 513-394-6938 to discover the best garage door design for your home. Wood garage doors are more widely used for homes today and for good reason! After all, wood garage doors provide unmatched warmth and beauty that can complement any home exterior. These doors are low-maintenance, energy-efficient and long-lasting. Their superior color PVC construction helps minimize scratching and their rich woodgrain texture provides a timeless hardwood look. No matter what style of home you have, the team at Overhead Door Co. of Greater Cincinnati can install a beautiful new one just for you. If you’re not sure what you want, our experts can walk you through our designs and help determine the best one for your budget and needs. Call 513-394-6938 513-394-6938 to learn more about our garage door services!